Used to join either metallic or non-metallic (Type "B") liquid tight conduit to external threads. 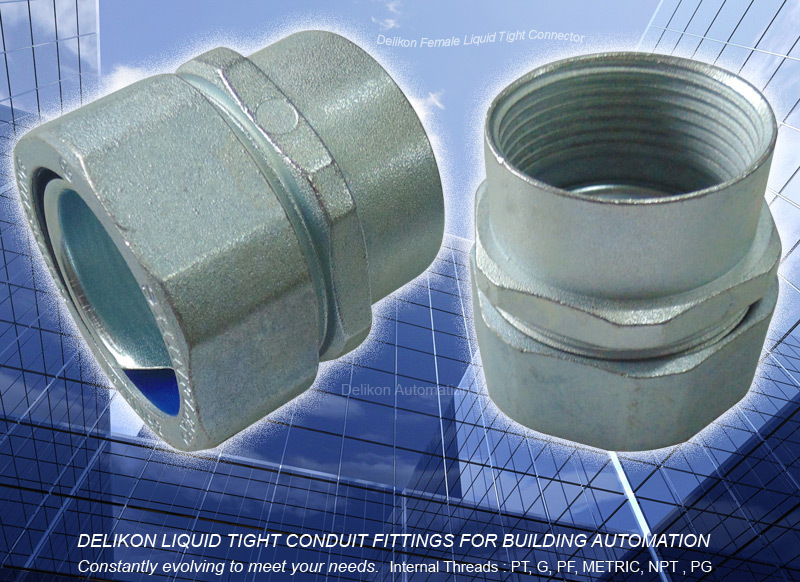 DELIKON LIQUID TIGHT CONDUIT FITTINGS FOR BUILDING AUTOMATION Constantly evolving to meet your needs. *Connecting the flexible conduit to male threads. 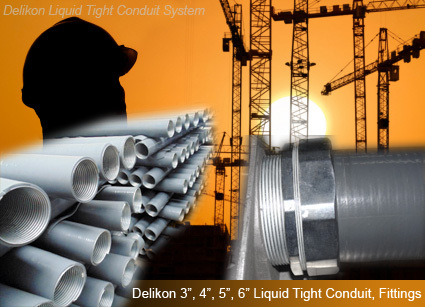 Download the catalog page for DELIKON YCM Female Liquid Tight Conduit Fittings in PDF File format. 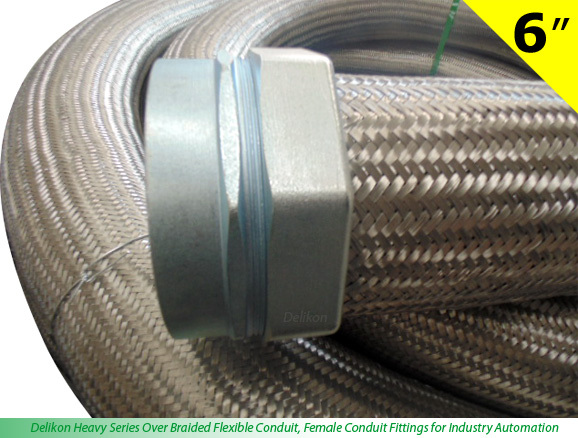 Originally developed for use on machining and OEM applications, Delikon heavy series over braided flexible conduit and conduit fittings systems have continuously evolved to included specialised systems for chemical, engineering, offshore, rail, underground, tunnel and security applications. 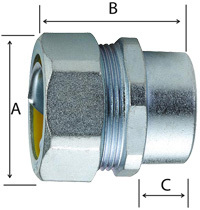 They are available in a wide selection of nominal conduit diameters up to 6 inches to best meet individual application requirements.